Explore; to look for the still unknown, to always be curious and looking for answers. I like most humans want knowledge. I want to know what lies in the great unknown, like those before me I want to lies beyond the realms of men. Be it the outer reaches of space, the deepest trench in the ocean, or any “What if” question. I want to know answer. 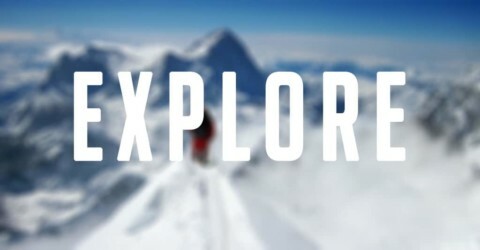 What I like most about the word Explore, is what it stands for and what it has meant to the human race. Explore is like curiosity but more, curiosity is the desire to know something, but explore is to go out there and get the answer. I am very curious person and that is why I think this word means so much to me. I hate not knowing things and I love stupid random questions that have no relevance to anything at hand, I just like learning. As the saying goes, if you’re the smartest person in the room then you’re in the wrong room. For me this is true, even though it is more comfortable to be the smartest you’ll never learn more if you are. There is always an opportunity to explore and expand knowledge and you have to take the chance whenever it appears. Explore, My Favorite Word by Tyler is licensed under a Creative Commons Attribution-ShareAlike 4.0 International License. Discrimination in History classesWhat will Utah skiing be like 50 years from now? I am happy your favorite word is explore as it can be a very creative and thought provoking activity. While the word may be an enigma with its multiple definitions and uses. Your idea of relating curiosity and exploration is very clever, as curiosity can be a cause or an effect for exploration. Thank you Tyler I very much appreciated your favorite word,even though I wish you did more with your description and use of your word. Very good work I look forward to more writing from you. Tyler, I really like what you’ve said about the word, “explore.” Human beings have a natural instinct to explore the world and have an inherent curiosity for the place around them. If we never explored, we would never make progress. We could never advance. I also agree with what you said about if you are the smartest person in the room, you’re in the wrong room. We need to push ourselves to become greater beings. Tyler, I feel exactly the same way. I too am driven to learn more about the world, even if the knowledge has no relevance at all in my life. One of my favorite things to do is to explore the outdoors. I pick a trail, and then just follow it to find wherever it goes. It’s a literal portrayal of the quest for knowledge. No matter how far you go there is always so much more to discover. I loved how you said if you’re the smartest person in the room then you’re in the wrong room. This is fantastic advice, as we should always surround ourselves with people who can make us greater. I’ll check back later for more great posts. Tyler, I would like to start off by saying your word choice was very unique and that is what enticed me to read your post. I agree that without curiosity, exploration would be impossible. You mainly talked about exploring through knowledge and I think this could be a stronger piece if you talked about the act of physically exploring. So, my question to you, where is your favorite place to explore and why? Interested in hearing back from you and hopefully I hear from you again soon.